ADDIS ABABA (HAN) November 8, 2015. Public Diplomacy & regional Security. 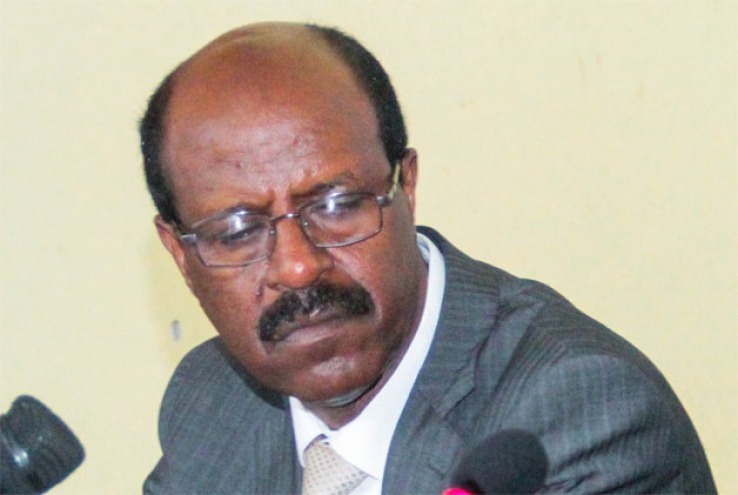 The Board of Directors of the Ethiopian Chamber of Commerce and Sectoral Associations has suspended its secretary general, The Reporter has learnt. The board, which is comprised of nine members and is run by Solomon Afework, issued a letter of suspension to the secretary general, Gashaw Debebe, on October 5, 2015. Though sources did not disclose the reason behind the board’s decision, the letter was given to the secretary general through the chamber’s president. But some close informants believe that the decision might have been issued in connection to longstanding disputes between the secretary general and the board. However, The Reporter was not able to establish this claim despite repeated attempts to solicit confirmation from both sides. It is also understood that the board collects information, which identify the major problems that exist in the chamber. According to sources, one key area of the dispute involves a coordination problem that was witnessed recently at an event organized to honor a few senior government officials in recognition of their contribution to trade and commerce activities. This might have led to Gashaw’s suspension. However, no confirmation has been made about whether the suspension is on a temporary or permanent basis. The board’s decision coincides with the launch of an event called “Ye Ethiopian Yigzu (Buy Ethiopian) that the chamber introduced to promote local made products. Gashaw was in office for the last six years as secretary general. Before that he served at Ministry of Foreign Affairs and Ministry of Trade.